Add this awesome set to your child's dress up closet! 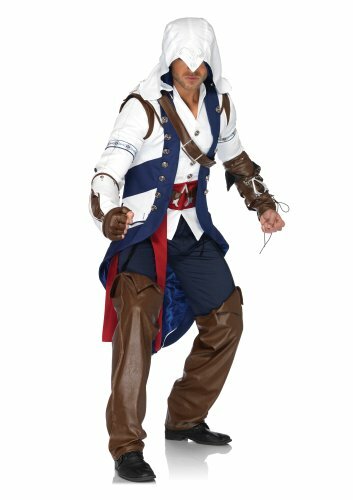 Who doesn't love playing the hero? Just add imagination to these capes and masks for some super fun and creative play time! With this purchase you'll get five different superhero kits, with a mask and a cape for each. Dress up as Superman, The Amazing Spider-Man, Captain America, The Flash, or Batman! The capes are made of soft satin with easy-to-use velcro closure. This set is aimed at kids aged 3 to 10 years old. 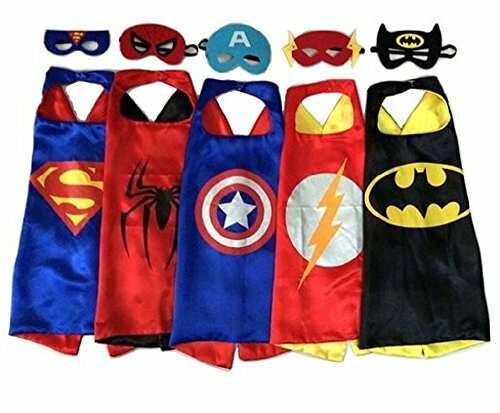 Pick this up for a superhero themed birthday party, an easy Halloween 5-pack for a family, or just for everyday fun dress-up play!